Using a paper similarity checker is what you need to check for stolen content. In the conducted survey by Donald McCabe, he revealed that more than 63,700 undergraduate US students and 9,250 graduate students with more than three years, of course, commit plagiarism. It was also revealed that 36% of the undergraduate students had copied or plagiarized some sentences from the internet source without citing it. Additionally, 24% of graduate students admitted that they did the same. CopyScape: This is a simple search engine allowing users to enter their content URL to find out if there is copied content on the web. Using the free search, you can get some results, but if you want a premium account, you need to pay for a premium subscription. Trackbacks: The key in getting trackbacks from the content scrapers is to include a link to other posts. Make sure that the links are of high-ranking anchor text. Webmaster tools: One of the ways in catching stole content is to webmaster tools. You just need to go the site of the tool and search for your site online, and then you need to link your website and sort by Linked Pages column. You can begin by contacting the website that they have copied your content if you’ve discovered it with the help of some copy plagiarism checker. You can also send them to notice about removing your content on their site. You can do it by filling up their contact form, posting it in their social accounts or sending it to their email address. Check out the tutorial on how to avoid plagiarism with our originality checker free! Another thing to do is to visit the DMCA and use their services in removing anyone who is stealing or copying your video, blog, audio, photos and other content. The good thing is that they are offering a WordPress plugin that you can incorporate in your DMCA protected badge to warn potential stealers. If you think your content looks like stolen, then using paper similarity checker is a good help. The fact is that there are some ways on how you can fix stolen or duplicated content. Knowing it will help you to avoid plagiarizing. Paraphrase: In restating in a new way for the poet’s idea, you need to use your own words. You need to read the original source so that you will get the meaning. You need to ensure that you will not copy the word verbatim. What can help perhaps is know the underlying theme and the message. 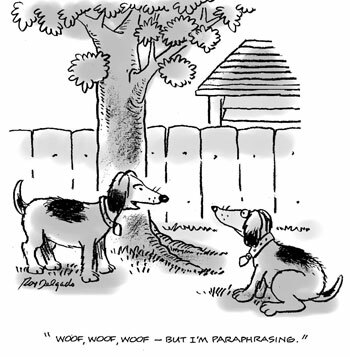 Any person should know how to paraphrase effectively to avoid plagiarism allegations. To avoid plagiarism, do not copy more than two words consecutively. If you will do it, you must use quotation marks. Do not also try to change words with synonyms. On the other hand, you can try using essay similarity checker that detects plagiarized content fast. Cite: It is one of the effective ways to avoid plagiarism. In here, you need to follow the formatting guidelines used by the school. In most cases, you must cite authors, publication date or other similar details. Citing is simple, but not citing properly results to plagiarism. For checking for duplicated content, there is a similarity essay checker for you. Quoting: You can fix stolen content by quoting. In quoting a source, you need to use the direct statement in exactly the way it is. If you need to quote the first-person point of view of the author, use quotation marks. You may also want to use paper similarity checker for help. Citing quotes: Citing quotes is far different from citing paraphrased sources. In here, it includes the practice of including page numbers or paragraph numbers for web content. Citing in your own: If the materials you are using were being used by you in previous or current class, you need to cite it by yourself. It seems to be odd, but it is required in some instances. Referencing: One of the essential ways to avoid plagiarism is to know about referencing, In referencing, you need to know about the proper formatting guidelines that are used by your institution. Take note that the details are specific and it should include the name of the authors, publication date, source, and title. If you need more help to avoid plagiarism, then using an online similarity checker may also work. Nowadays, there are many checkers for duplicated content. They can check for plagiarism content fast and for free in many cases. When you have the result from the checker you used, there are highlighted words that you can see. Those highlighted words are duplicated content on the web, which means you need to change or re-word it so that you will not commit plagiarism. Finally, if your content is stolen as revealed by the text similarity checker, there are tools you can use to inform them or to remove immediately the copied content. Use a paper similarity checker today!